The 2015 Ford F-Series Super Duty Trucks! Combine these truck stats with all of its other best-in-class claims and its long list of towing features and you get ... the ultimate towing machine! Available now at O'Meara Ford Center the 2015 Ford F-Series Super Duty line is ready to handle all the work you want to throw at it! Just check out some of what makes the 2015 Ford F-Series Super Duty line the "Ultimate Towing Machine!" Super Duty offers a choice of gasoline or diesel engines. Nobody can tow more than Super Duty Power Stroke! When you combine this type of power with our integrated systems and features, you get a truck that truly leads. 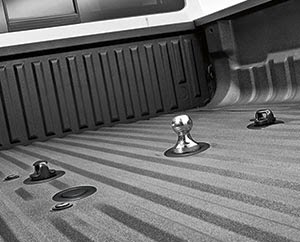 A 5th-wheel hitch is mounted in the pickup bed to put more of the trailer weight over the towing vehicle for outstanding load-carrying and sway-control performance. For towing RV trailers, 5th-wheel towing is commonly used. 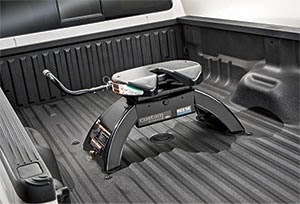 A gooseneck hitch attaches in the pickup bed using an under box crossmember. It provides great stability and is suitable for heavier loads, since the weight of the tongue rests directly on the truck bed over the rear axles. Goosenecks are commonly used for horse and other agricultural trailers. (1) Class is Full-Size Pickups over 8,500 lbs. GVWR. (3) When properly equipped. Class is Full-Size Pickups over 8,500 lbs. GVWR.